Jessica Lorimer runs a successful sales coaching and consultancy business and is responsible for helping service based online entrepreneurs create simple sales strategies that attract premium clients on demand. After graduating in 2011, I moved straight into a corporate sales world for a Top FTSE 250 company. Like most graduates, I was passionate about being successful – and within a year was one of the organisations top performers. But early starts and late nights soon took their toll (along with the business needs to see people as numbers) and I became disillusioned with the corporate climb. I started thinking about who/where my sales skills could be most beneficial and realised that there were many small business owners who struggled to implement solid and simple sales strategies into their businesses and started using social media to offer advice – and was soon offered consultancy and coaching work. For me, it was a culmination of 80 hour work weeks, a distate for the corporate glass ceiling that I was fast approaching and the desire to actually live a life that I enjoyed, whilst using my skills to teach others something that would really benefit them that inspired me to make the leap from corporate sales into online sales coaching. The corporate world gave me a fantastic start in learning how to create success – but ultimately, I never wanted the job of my managers or directors… I wanted the job of the business founders. To become someone who created something much bigger than just themselves. The greatest challenge would be delegating. Your business becomes your baby and in the beginning, most of us try to do everything by ourselves; we become the assistant, the copywriter, the marketer, the social media manager, the CEO and so on… but delegation and hiring is integral to business growth. So whilst it’s challenging to relinquish areas of responsibility in your business, it’s also the only way for it to really grow and achieve its maximum potential. The greatest reward… flexibility. Working when you want from where you want is a bonus that you don’t see in the corporate world and it makes a huge difference to your life. Taking time out to watch the kids nativity play, not spending hours on the phone trying to get a doctors appointment outside of 9-5, working from a beach in Bali… it all makes a huge difference to your daily life and freedom. Fail fast and fail better. Failure is something that we spend life trying to avoid – but learning to embrace that you won’t get everything right on the first try and accepting ‘failures’ as steps towards success will make it a lot easier for you to succeed in the long run. If you resist failure – and you keep trying something that just isn’t working without pivoting because you’re too proud to fail… it’s going to take a lot longer for you to be successful. Managing successes is all about making time to celebrate the success; no matter how big/ small it is and then moving forward to create more. With regards to goal setting, I always tell my clients to stop setting SMART goals. Stop being ‘realistic’ when it comes to goal setting because realistic goals rarely stretch you as a person or a business owner. But really, the most important thing about setting goals is IMPLEMENTATION – taking action to achieve those goals. Setting goals is all well and good – but it’s all about taking the action to make them happen that really matters. Hiring good team members! The growth of my business is built on hiring (and retaining) good people. Finding experts to best benefit my business and the clients that we serve has been the biggest challenge that I’ve faced as a business owner. Personal and professional development is absolutely key for business growth and whilst sales is my particular area of expertise, the advice of my high level coaches and mentors with regards to the online business world has been invaluable. I’ve been able to develop my own success mindset and as a result, my business skyrocketed. Networking (whether on/offline) is integral to business owners. Not only does it give you an opportunity to build relationships with potential clients, but it also gives you the opportunity to meet peers and network with people who may also be able to collaborate on projects, recommend potential hires and provide a support system for ideas, inspiration and celebrations on your business journey. Not to mention that a glass of wine and interesting conversation always makes a good evening! Scale early. You will always reach a tipping point in your business; a point in which your revenue cannot increase unless you make a key financial decision… but your current revenue does not always justify that key hire/ advertising/ sales strategy etc. The trick is to always grow before you are ready – because once you hit that tipping point, your business does not grow – it becomes stationary whilst you firefight all the things that need to be done. Having said that, don’t just hire/ implement expensive strategies because you think it’s going to make your business more money. Assess what you’re currently doing that’s generating a solid ROI and look at how you can make that even more efficient/effective through outsourcing, hiring or automation and then implement proven strategies in the areas that you wish to grow. That way, you ensure solid, sustainable and strategic growth that you can continually monitor, improve and replicate in other areas of your business, rather than jumping from strategy to strategy. The future is pretty exciting! We’re about to release a number of online courses and information products that we’ve been testing over the last two years and I’m focusing on providing even more mentorship opportunities to talented individuals who have a business that needs to scale through sales. 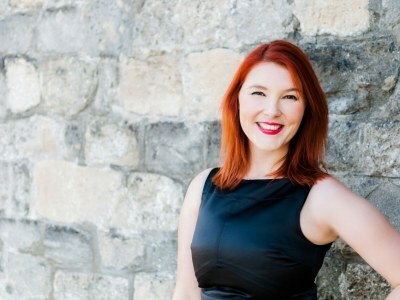 Jessica Lorimer is a sales coach for coaches who want to create simple sales funnels that are fun, authentic, and convert prospective customers into happy, paying clients. Join her private community and benefit from free training in her Facebook group.